One of the most memorable NBA All-Star games ever played took place on February 13, 1977 at the old Milwaukee Arena (aka The MECCA). It was the first All-Star game following the merger between the NBA and the ABA. And since the ABA had no national television contract, the game was the platform for ABA legend Julius "Dr. J" Erving's introduction to a wider national audience. Erving took full advantage of the opportunity, dominating the game, scoring 30 points and grabbing 12 rebounds, and demonstrating high-flying moves fans of the established NBA had rarely seen before. 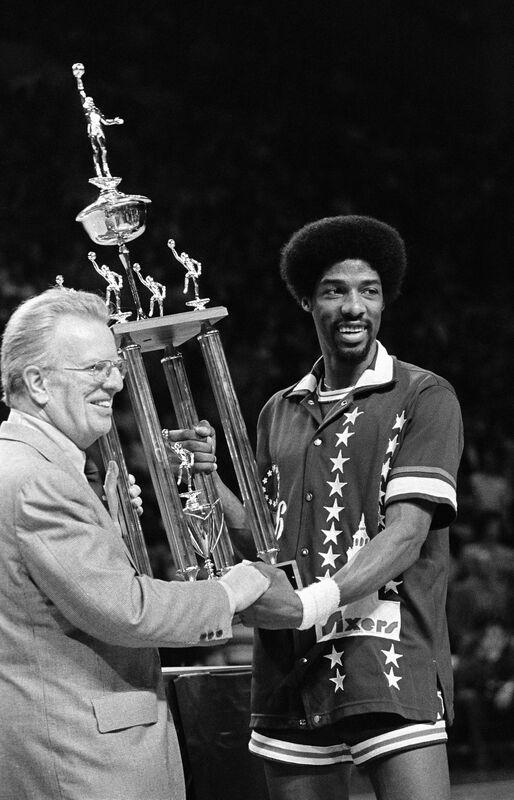 For being named MVP of the 1977 NBA All-Star game, Dr. J received the offered trophy. The incredible size (4 ft. tall) and opulent ornamentation of this multi-tiered trophy are befitting of Erving’s flamboyant performance. 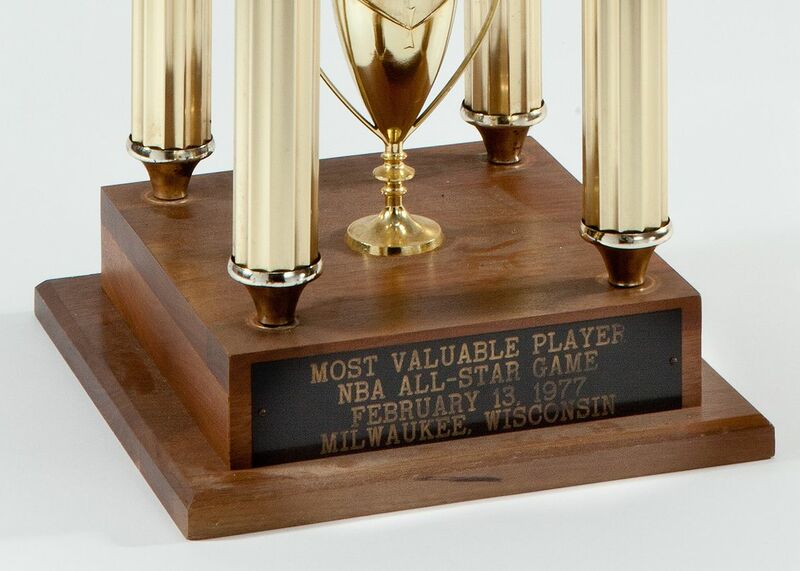 An etched plaque on the base reads, “MOST VALUABLE PLAYER NBA ALL-STAR GAME FEBRUARY 13, 1977 MILWAUKEE, WISCONSIN”. Erving has added his large signature to the back of the base in black sharpie. The trophy shows minor wear including two of the four basketball figures from the upper tier having broken off at their feet. These two original broken figures are included with the trophy. Easily one of the most physically impressive trophies from Dr. J’s vast personal collection. Includes a signed LOA from Julius Erving. Auction closed on Sunday, November 20, 2011.